Here are a few river stories to ponder and share. You may find them useful for adding perspective to business and other situations. Tell one of these stories at the right time and you’ll connect instantly and deeply to your listeners. The frog thought about the scorpion’s logic, and because he was a helpful sort of fellow, he nodded and allowed the scorpion to crawl on his back. But no sooner had he begun swimming into the stream, the frog felt a sharp pain at the base of his neck. “Why?” he asked as the light faded. We’ve all met scorpions—people we’ve trusted but knew we shouldn’t. In the great river of life, who have you chosen to put your faith in? Two monks were walking by a river when they encountered a young maiden. The first monk nodded, silently handed his pack to the second monk, and allowed the woman to climb on his back. They waded safely across to the other bank where they bowed and went on their way, the maiden in one direction and the monks in the other. 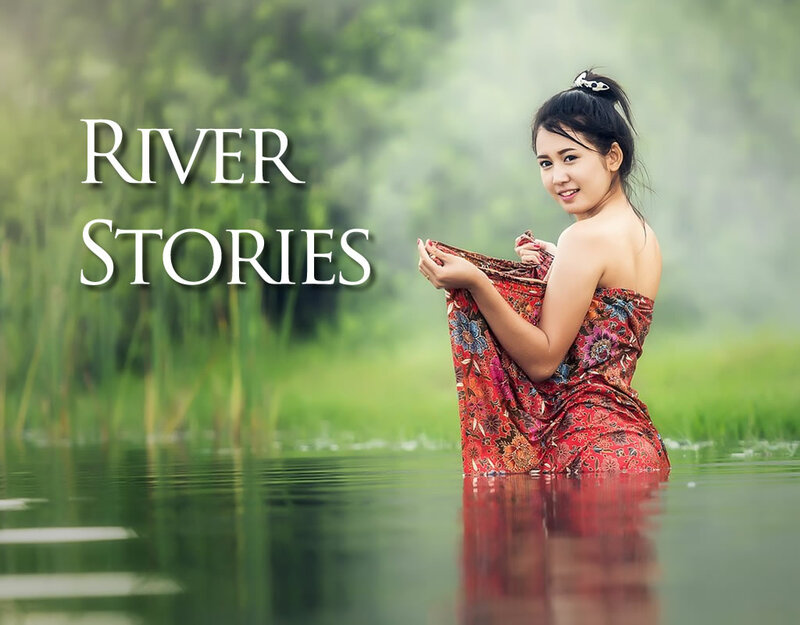 In this story, the river refers to the stream of choices and ethical challenges we all face in life. Do you think it would have been more in keeping with spiritual principles to help the woman or strictly obey the rules of the faith? The story also refers to some people’s inability to “let things go and get over it.” Do you know people who hold grudges or stay angry over trivial conflicts? A farmer’s daughter carried fresh milk to the village every morning. One of her customers was a priest who lived across a river. Each morning she waited for the boatman to ferry her across. Sometimes, the boatman was late. The priest offered fresh milk to God every morning as part of his daily worship. One day, when the milk arrived late, he scolded the poor woman. The milkmaid took him seriously. From then on, she brought the priest’s milk on time every morning. After some weeks passed, he asked her how it was that she was never late anymore. The priest didn’t believe her. “Show me!” he demanded. They went to the riverbank. The milkmaid closed her eyes and began to chant the name of God, and then she walked out onto the surface of the water. When the priest followed her, he splashed about and his feet sunk to the bottom. This story could be thought of as a story about religious faith, but it can apply just as much to the importance of trusting yourself. When we act without conviction, we often fail. When we trust our instincts, talents, and abilities, we can accomplish remarkable things. Have you found abilities in yourself or others that the experts and leaders think are impossible? Where has doubt inhibited your ability to succeed? One day, a wandering Buddhist came to the banks of a wide river. Staring at the current flowing swiftly before him, he sat on the shore pondering how to get across. This is a story about perspective. Sometimes we already have what we seek to attain. Sometimes we see the world through our own eyes and fail to realize that others have their own stories. “Stand at the wheel as if you’re steering the boat,” my teacher directed. I stood in the cockpit as directed. “Okay. That’s straightforward enough,” I said. I spun and faced the stern rail. Sailors evolved the terms “port” and “starboard” to ensure story alignment whenever fast action was required. Then the Lord said to Moses, “Stretch out your hand over the sea, that the waters may come back upon the Egyptians, on their chariots, and on their horsemen.” And Moses stretched out his hand over the sea; and when the morning appeared, the sea returned to its full depth, while the Egyptians were fleeing into it. So the Lord overthrew the Egyptians in the midst of the sea. Then the waters returned and covered the chariots, the horsemen, and all the army of Pharaoh that came into the sea after them. Not so much as one of them remained. But the children of Israel had walked on dry land in the midst of the sea, and the waters were a wall to them on their right hand and on their left. This famous water-crossing story is a metaphor for struggles we all face. What happens when we run out of options in personal or professional life? 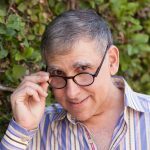 Have you ever had a sudden burst of insight or a flash of innovation that changed your thinking from “swimming across” to (they’re never going to believe this!) “walking across?” Where does that burst of insight come from? Why do we sometimes wake up in the middle of the night with the answers we need? Even if you’re an atheist, there’s enough mystery behind that to make this Bible story worth thinking about. Or look at this story from the Egyptians’ point of view. Have you ever pursued a goal down an uncomfortable or dangerous road, observed that the “wheels keep falling off” and the going was hard, and then turned around too late wishing you’d paid attention to the signs? As you pursue your goals, are you exploiting opportunity or getting deeper into trouble? What connections can you make between the Red Sea Crossing story and your business strategy? River stories dive deep into human consciousness. Have you ever taken a scorpion on your back? Have you grappled with your conscience when doing the right thing means breaking the rules? Who’s more likely to accomplish something remarkable—experts or people who don’t know what’s impossible? Have you discovered yet that those people on the other side of the river think the same way and want the same things you do? Have you ever had an idea pop into your head that kept you from drowning at the last instant? What rivers do you traverse every day? What obstacles do you face in your travels through life and commerce? What rivers do your customers face? Do you sell them metaphorical boats or swimming lessons or life jackets? Motivate employees, embolden leadership, solve problems, connect team members, and accomplish miracles by telling stories that clarify the reasons and reveal the meanings for wading into the water together.